LUBBOCK, TX (KCBD) - Our warmest weather in two weeks. That’s what’s ahead this afternoon as high temperatures across most of the KCBD viewing area top out in the low to mid-70s. Winds generally will be light, in the 5 to 15 mph range.  Cloud cover will be present, at times as just a thin veil, but will not bring us any rain over the next 24 hours. Rain will remain unlikely through tomorrow. 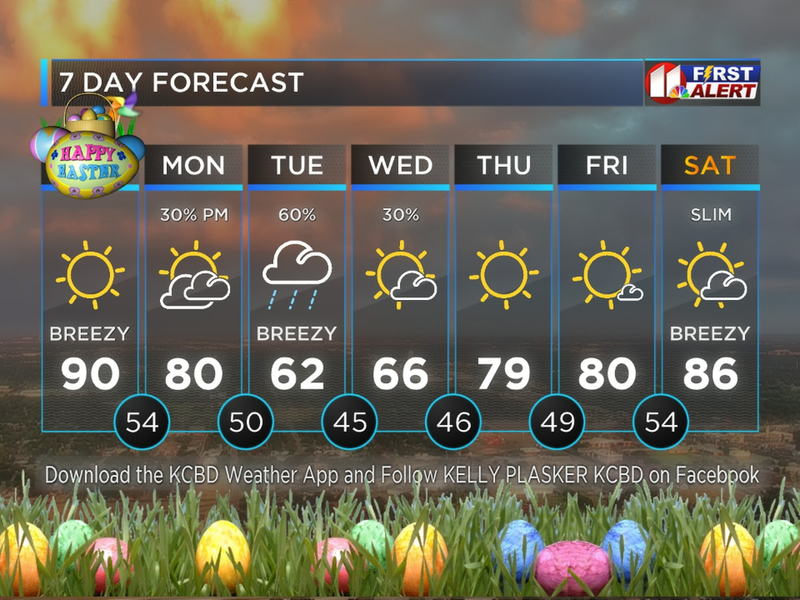 However, Tuesday evening may see a few rain showers move into the western KCBD viewing area, and Tuesday night rain will gradually spread from west to east across the viewing area. Rain is likely Wednesday. Wet, grey, and chilly weather returns. That’s the weather which will dominate Wednesday, with widespread rainfall totals of one-quarter to one-half inch are expected. Locally heavy amounts are possible. 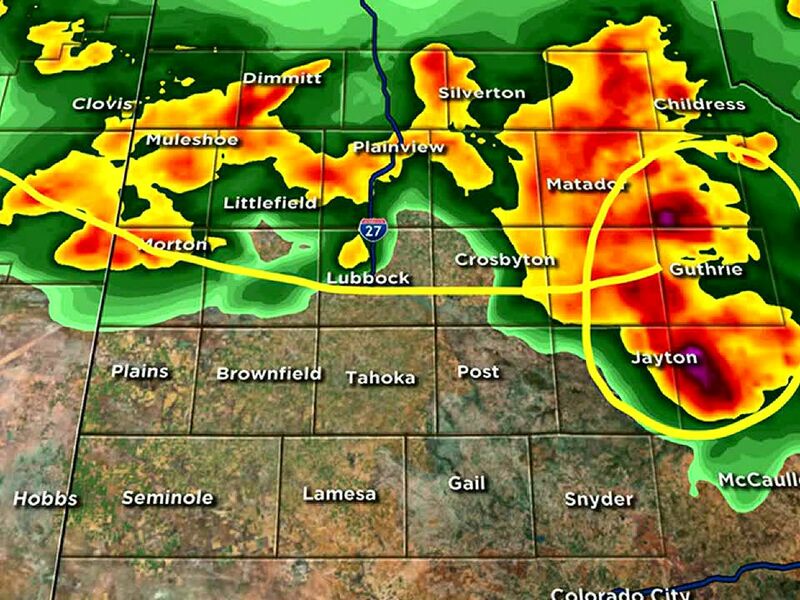 Data points to an end to the rain before sunrise Thursday for Lubbock and points west. A few showers may linger over the eastern viewing area through mid-morning Thursday and until about mid-day over the far southeastern viewing area Thursday. Warmer and drier weather will follow Thursday through the weekend. Check out our forecast here on our Weather Page or in our free Weather App for your mobile devices. A wide range in weather is headed your way this week. So, if you didn't like recent weather, or today's weather, or... just wait five minutes. This morning category 4 Hurricane Willa (pronounced WIH-lah) is forecast to make landfall late tomorrow on the west coast of Mexico near Puerta de Palapares. Moisture from this system is already streaming across South Texas, and some of our cloud cover today is courtesy of this system, which may bring flooding rains to South Texas Tuesday and Wednesday. For the latest on tropical weather activity take advantage of our free Interactive Radar on our Weather Page at kcbd.com/weather. Click the menu icon on the bottom blue-bar, drag the slider to the right and select the “Tropical” tile. Tap on any of the tropical icons for additional information.